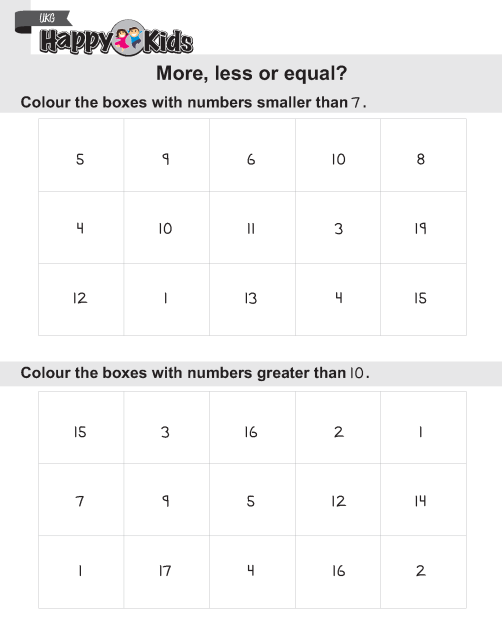 Colour the smaller or greater number. Circle the smallest and biggest number in each row. Put the correct sigh in each box.